In 2013, the Centers for Disease Control and Prevention estimated that approximately two million people in the U.S. acquired infections caused by antibiotic-resistant bacteria. Antibiotic resistance occurs when an antibiotic treatment loses its capability to control or stop bacterial growth, and this resistance is rapidly outpacing the development of new drugs. The goal of our research is to develop an antibiotic that bacteria will not become resistant to. We are currently researching a method that exploits an essential bacterial life process so bacteria will not be able to adapt to overcome our method of attack. Our method takes a Trojan Horse approach by “tricking” the bacteria into accepting a toxic element –gallium– while it is using its natural process of taking in an essential element for survival– iron. Since the bacteria is using its natural iron-uptake pathways to take in gallium, it will not develop resistance to stop gallium from entering. Our Launch UMD fundraising goal is $2,250. Our project is developing and testing the gallium-desferrioxamine complex as an alternative antibiotic. In order to study the applicability and effectiveness of this complex, we need to conduct experiments on materials such as human embryonic kidney cells and Fetal Bovine Serum (FBS). These material are extremely expensive (FBS costs over $600 for just 500 mL), but they will allow for experiments that provide valuable insight into our antibiotic’s potential for application to mammals. The funds raised in this project will allow us to purchase the materials and laboratory equipment necessary to complete our research, which will be presented at the Gemstone Senior Thesis Conference in Spring 2018. As we are all affected by the growing problem of antibiotic resistance, we hope that you can give us your support to help us develop this alternative method of combating bacteria! 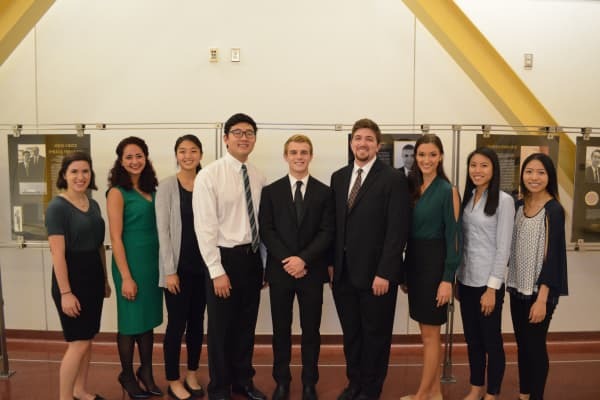 Team Gold is an undergraduate research team from the Honors College Gemstone Program. We have been working together on this project for the past year under the mentorship of Ben Woodard. Our team consists of nine members from a diverse range of majors. Follow us on social media to get updates on our project. A donation of $5 can contribute towards the purchase of basic lab supplies such as pipette tips and laboratory gloves. These supplies prevent against the risk of contamination and ensures the safety of our team members when in the lab. A donation of $10 will help us purchase basic chemical ingredients, such as tryptone or yeast extract, to make the growth media used to test bacteria in our experiments. A donation of $25 can contribute towards the purchase of control antibiotics, such as Penicillin/Streptomycin. These allow us to compare the effectiveness of our treatment against current industry standards, which is essential to our goal of developing a new treatment/product. To thank you for your contribution, we will send you a Team GOLD laptop sticker. A donation of $50 can contribute towards the purchase of gallium chloride, which is a key ingredient to making the Ga-DFO treatment that we are researching. We will send you a Team GOLD laptop sticker along with a thank you note signed by all our team members to thank you for your support! A $100 donation will contribute towards travel funds, allowing us to present our research. We hope to present our findings at scientific conferences around the country. To thank you for your support, we will include your contribution on our team website! A $250 donation can purchase a human embryonic kidney cell line, which we use to test the efficacy of our treatment in mammalian environments. This is important to determining the possible applicability of our treatment. To thank you for your support, you will be recognized in our future presentations. A donation of $500 will go towards the purchase of the more costly materials required for our project. For example, fetal bovine serum (FBS), which is used to grow mammalian cells, can cost up to $600 for just 500 mL! As a thank you for your support, you will receive an invitation to our Senior Thesis Conference and a hard copy of our final thesis.